This weekend me and Jack had some fun with collage! The Art & Design part of Jack's creative homework was to make a 3D model of a bug in the style of Eric Carle (American designer, illustrator, and writer most famous for The Very Hungry Caterpillar). 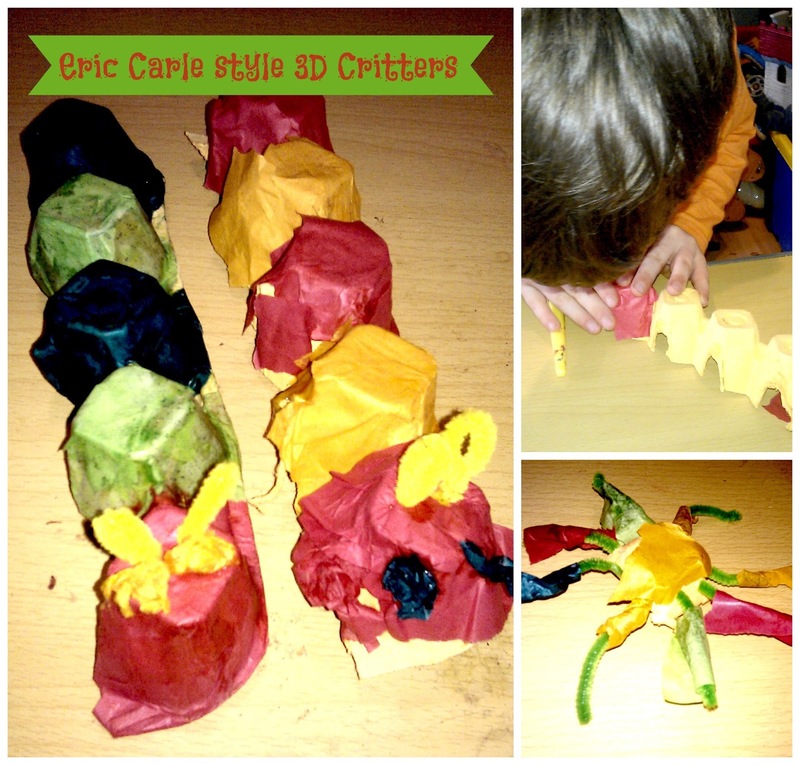 We used egg boxes, tissue paper, and pipe cleaners to create two caterpillars - one in the same colours as the infamous Very Hungry Caterpillar, and one in Jack's favourite colours - and a spider inspired by The Very Busy Spider which Jack LOVES. Jack had a great time shredding the tissue paper and gluing it to his critter creations. Today we took all the Beasties & Bugs projects into school. Jack got two Smiley Faces straight away (he can only earn 5 in a week so this is a big deal) and also got to take it to show the Headmistress (who Jack adores) and came away with a very shiny sticker award. He is a very proud and pleased young man today!